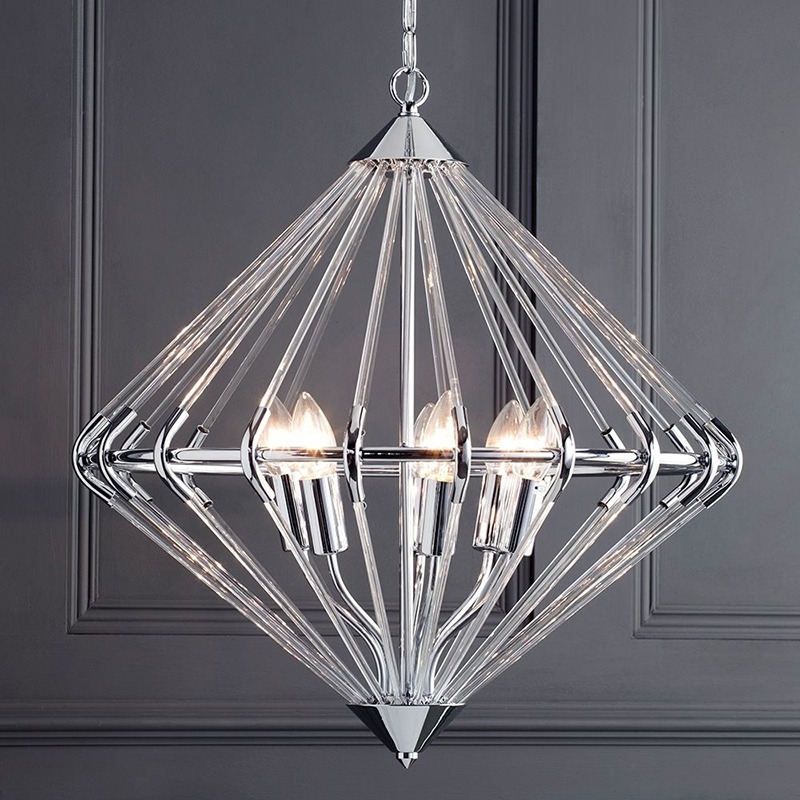 Our new Corsica Glass rod lighting collection showcases an elegant take on an industrial design. 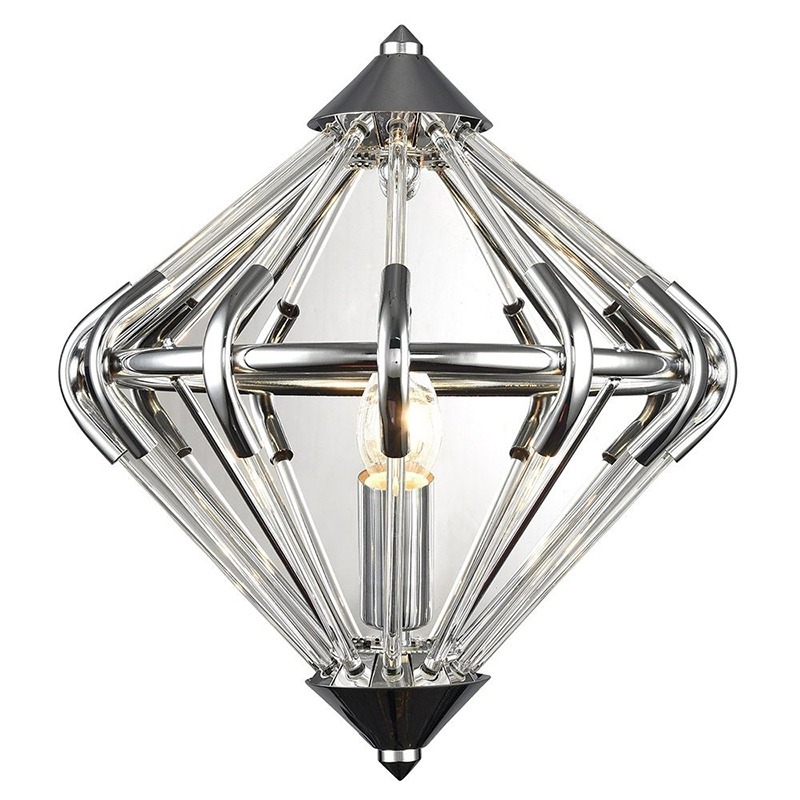 Our design team took inspiration from the shape of a diamond and combined this with a unique cage like structure made up of glass and chrome rods. 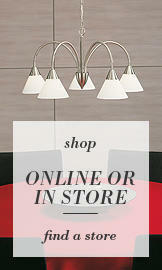 If you’re looking for a unique style, a statement piece for your home, then this is the pendant range for you. 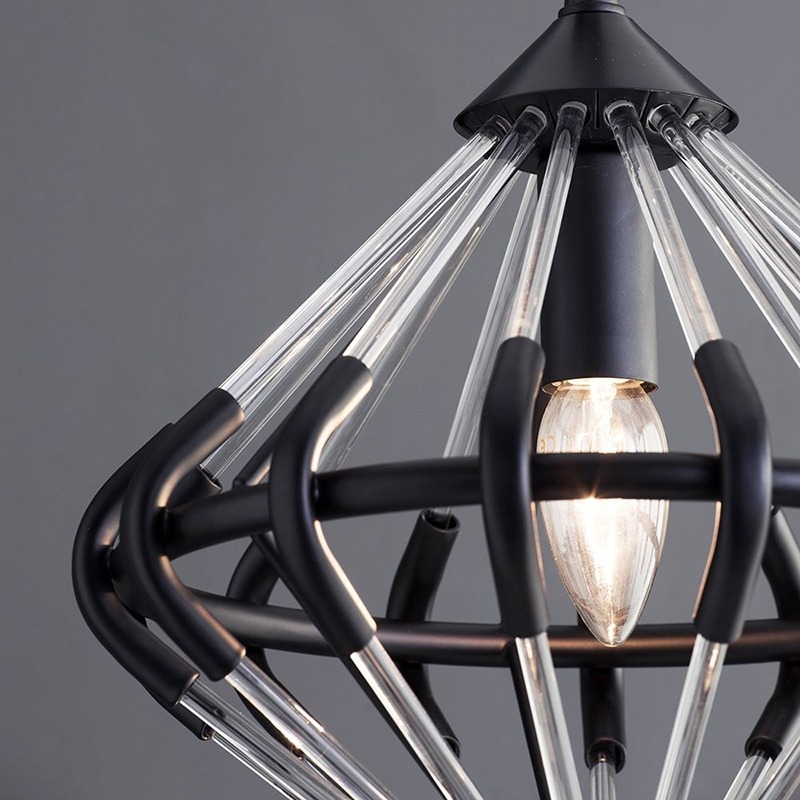 The cage-like feature boasts an exposed bulb design that lights up each glass rod when lit. 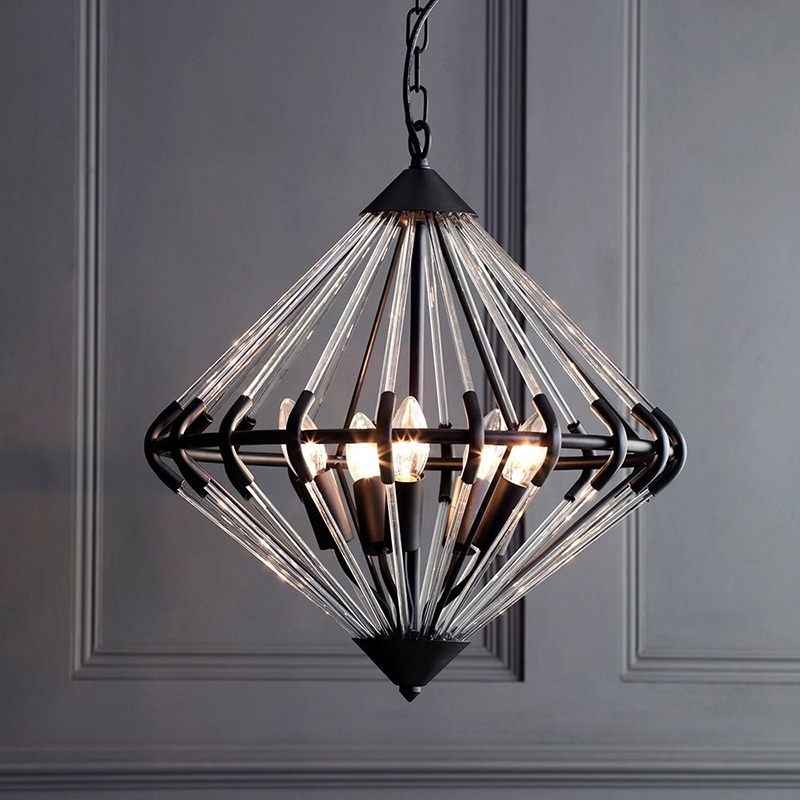 This range isn’t for the fainthearted, it combines a daring design with bold finishes, this is industrial design at it’s best. The Corsica range is available in a selection of sizes and in two colour options. 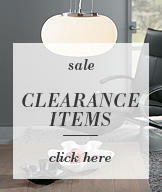 Choose from a 1 small 1 light pendant or a larger 5 light version in a black and glass finish. 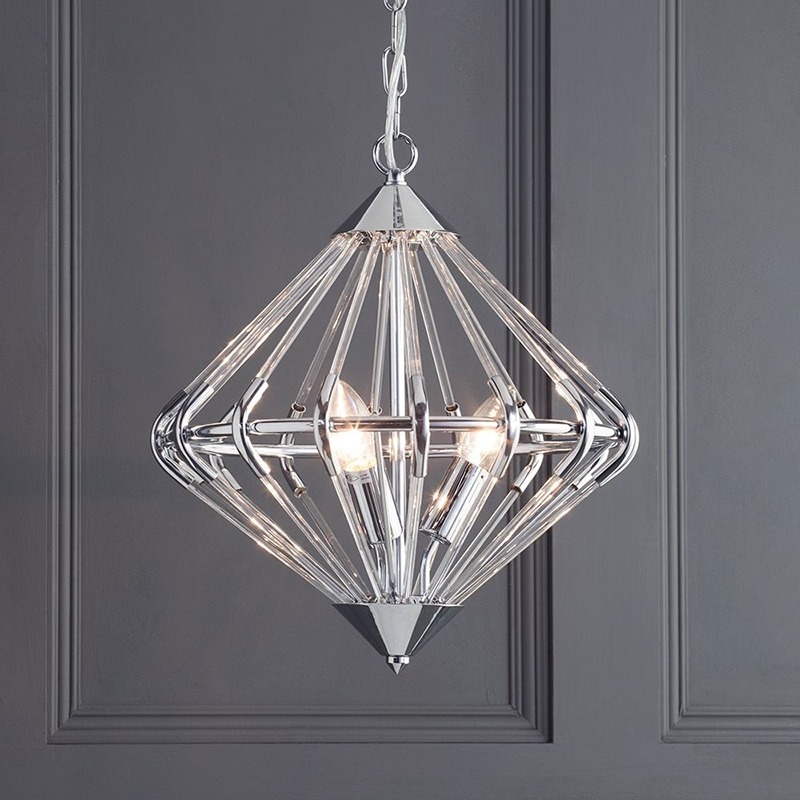 Or choose our chrome collection which boasts a contemporary polished finish that will give a modern yet industrial addition to any space in the home. 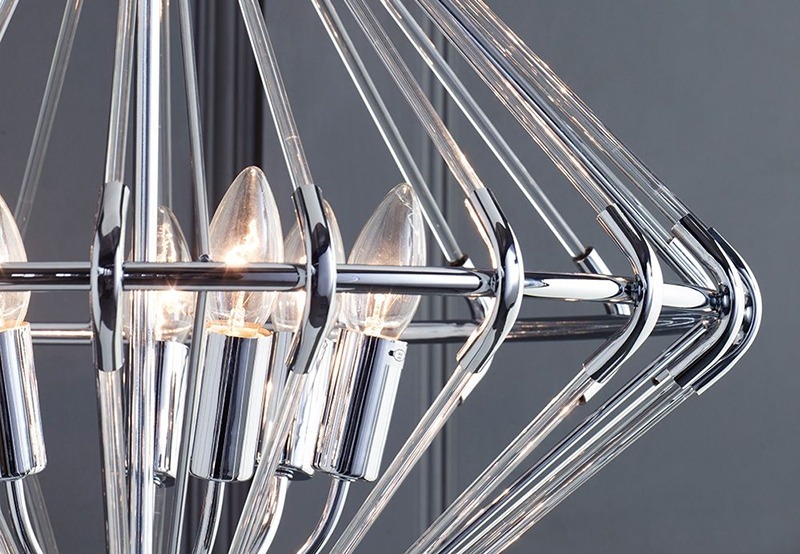 The chrome collection comes in a larger range of sizes, choose from a large 7 light pieces, a a 3 smaller 3 light piece or a matching 1 light wall light. 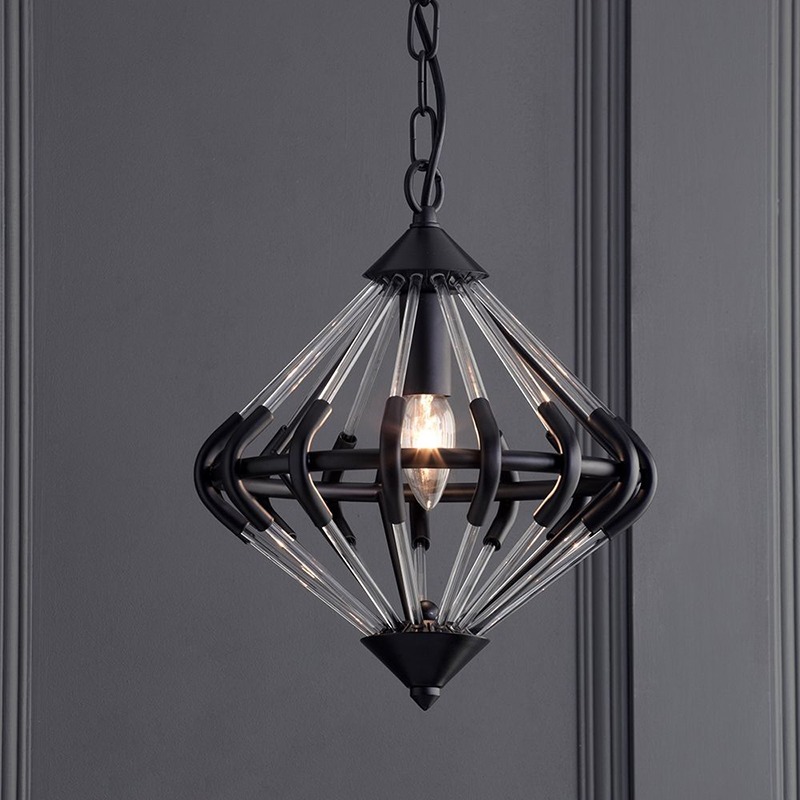 This range is definitely a statement collection that will look great suspended over a dinning table, or doubled up over a kitchen island or breakfast bar. 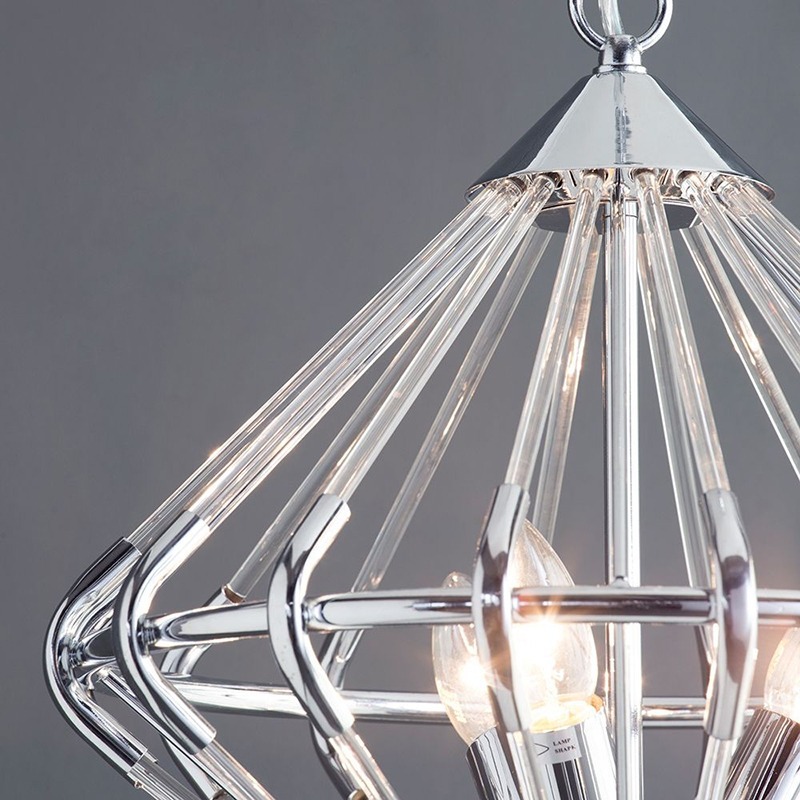 What do you think of the Corsica’s contemporary design? Stunning design – I’ve not seen before.